Well known businesswoman Rachel Doyle, Arboretum Home & Garden Centre to deliver keynote address at Forum on Female Entrepreneurship, Horse & Jockey, April 22. The Local Enterprise Offices in the Mid West has issued an invitation to all women’s organisations, state agencies, networks, businesswomen or those thinking of starting their own venture to attend the upcoming Forum on Female Entrepreneurship taking place at the Horse & Jockey Hotel, Thurles on Wednesday 22 April from 09.30am to 2.00pm. The event will focus on potential female entrepreneurs as well as existing businesswomen looking for inspiration, information and supports available to start, develop or scale a business. The objective of the event is to ascertain what state agencies and organisations in the Region could or should be doing to support female entrepreneurship. The open forum discussion facilitated by Paula Fitzsimons will inform enterprise agencies, training providers and other stakeholders and assist in shaping future enterprise supports, programmes and interventions across the eco-system for female entrepreneurship. Sinead Carr, Director of Services, Economic & Community Development, Tipperary County Council will chair the Forum and speakers include Paula Fitzsimons, The Global Entrepreneurship Monitor who will look at Ireland today; where almost 1,000 women set up a new business each month, is the gender gap finally closed? Why are more women being encouraged to become entrepreneurs? Paula Fitzsimons, an expert on entrepreneurship, will draw on the findings of the Global Entrepreneurship Monitor (GEM) to answer these questions and to reveal insights into women and entrepreneurship across a range of countries. Jean O’Sullivan, Manager of Female Entrepreneurship Programme at Enterprise Ireland, with responsibility for developing new women in business initiatives to support ambitious women with business proposals that have the potential for high growth and employment will discuss these interventions and their success rate to date. The Keynote address will be delivered by well known entrepreneur Rachel Doyle, Arboretum Home & Garden Centre, Carlow with the two local Case Studies presented by Veronica Molloy, Crossogue Preserves Ltd, Thurles and Majella Ryan, Ivowen Ltd, Clonmel. The Forum will afford you a valuable opportunity to network, learn about supports for enterprise creation and development and to have your say in terms of future support and incentives for business. 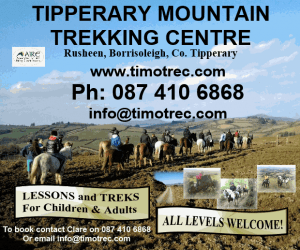 Admission is free, however, advance booking is essential and places are limited. 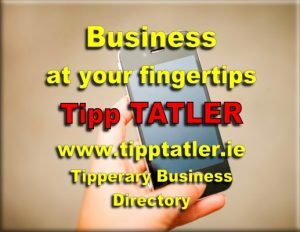 To book you place visit www.localenterprise.ie/tipperary or email leo@tipperarycoco.ie without delay.